These calls for action aren’t unwarranted. 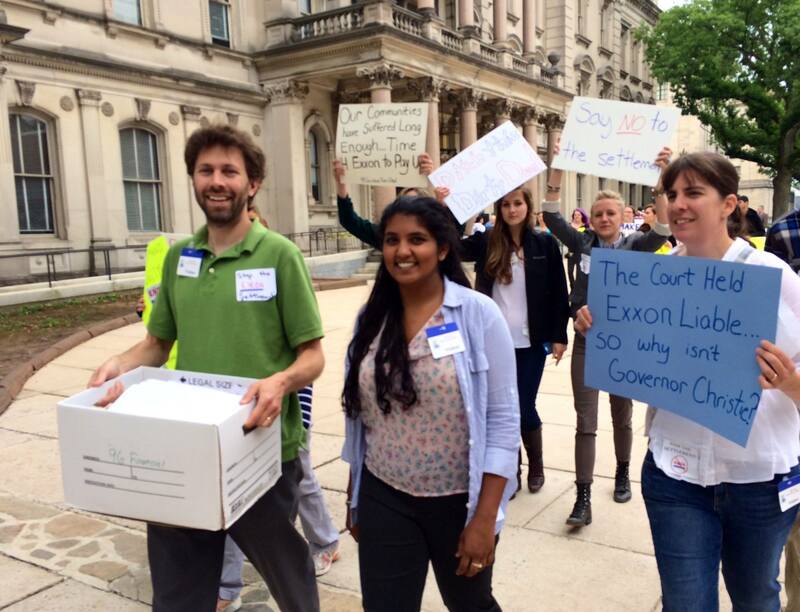 The State of New Jersey and Exxon have been in court for years over the cleanup of the Bayway and Bayonne refineries. The court found ExxonMobile liable for damages originally estimated at $8.9 billion, yet the Christie Administration has decided to settle the groundbreaking case for only $225 million. That adds up to only 3 cents on the dollar! The $8.9 billion estimate included removal of oil and chemical pollution in order to properly restore the wetlands, waterways and habitat that existed on the site before ExxonMobil’s pollution. The $225 million in the proposed settlement will not come close to covering the costs associated with restoring and replacing the lost resources at these sites. It gets worse. The proposed settlement also permits Exxon to meet weaker cleanup standards at the Linden Bayway refinery and waives Exxon's liability at 16 other industrial sites and over 800 gas stations across the state. 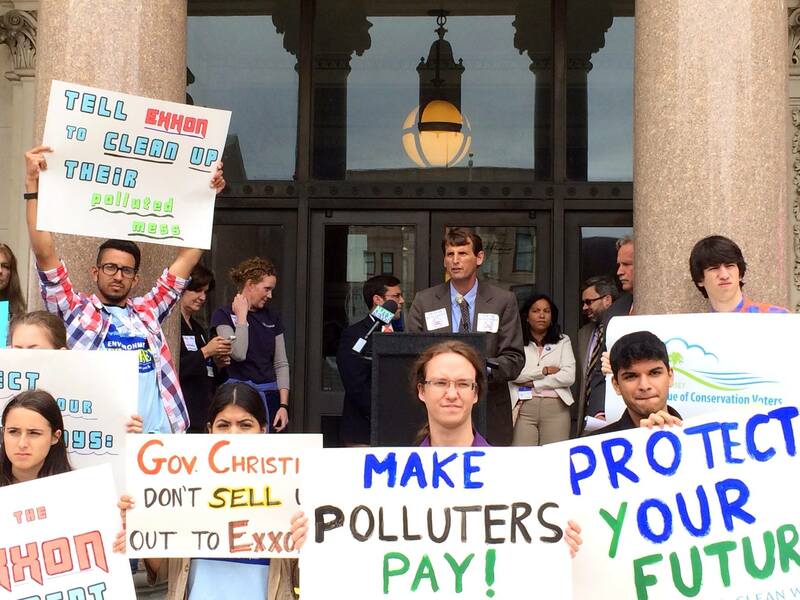 “Governor Christie’s shady backroom deal with Exxon would give the world class polluter an $8 billion windfall while forcing working families to pick up the tab,” said Analilia Mejia, Executive Director of NJ Working Families. And legislators we are proud to call our allies showed up at the rally to show their outrage as well. Senator Ray Lesniak and Assemblyman Gordon Johnson and John McKeon took the podium declaring their support for a measure (SCR163/ACR230) that would ensure money from Natural Resource Damage litigation would go to remediating and restoring the polluted sites. After the incredible speeches of our leaders and legislators, the people banded together to march from the historic West State street down to East State street to deliver over 60,000 petitions to the NJ Department of Environmental Protection (DEP) offices. The department and a judge will soon formally submit a settlement, which could be heavily influenced by industrial polluters. That’s why we need everyone to speak out for clean water and our health! 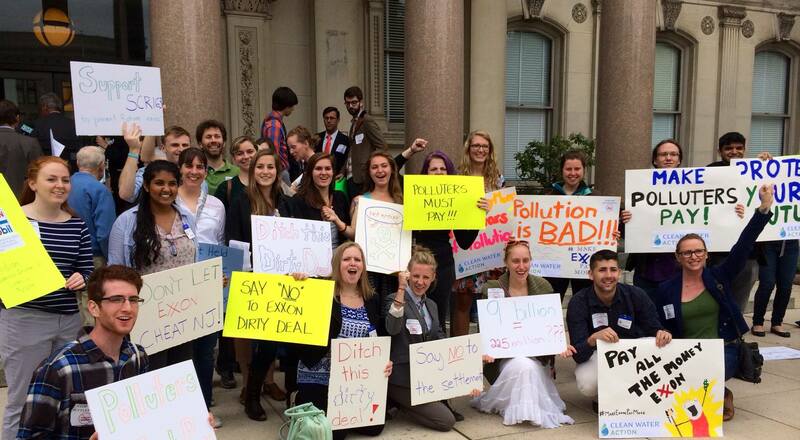 Tell the NJDEP to reject the outrageous settlement – written comments can be submitted electronically to exxonmobilbaywaysettlment@dep.nj.gov with the subject “ExxonMobil Bayway Settlement.